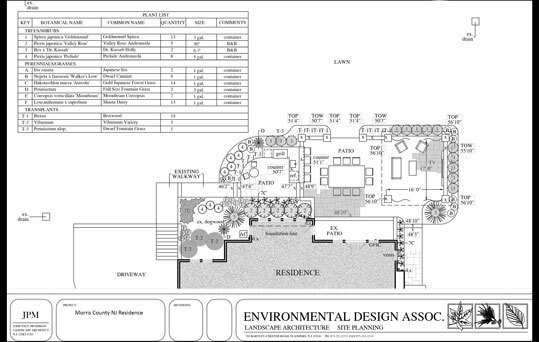 Environmental Design Associates is a true “design/build” company. We design and construct everything for the outside of your home or business. Every client site is unique, with its own set of design challenges. A certified Landscape Architect has the professional expertise to address and solve complex site issues, and create functional, beautiful outdoor spaces. The investment in your home should pay off in hours of comfort and enjoyment. Why would you hire anyone with lesser credentials? Large or small, the importance of planning your project goes without saying! 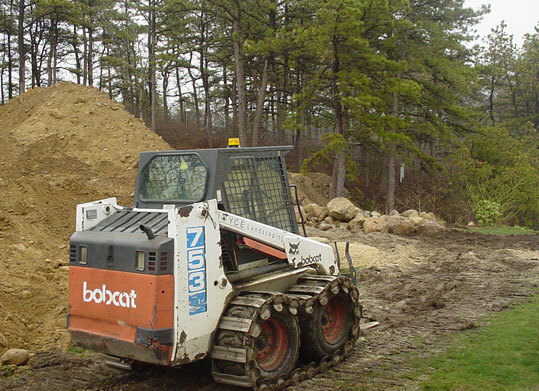 Every town and borough in New Jersey has its own regulations and requirements to be followed for outdoor construction projects. The permit application process can be expensive and lengthy. Our landscape plans are specific and precise, thereby streamlining the process and reducing delays. 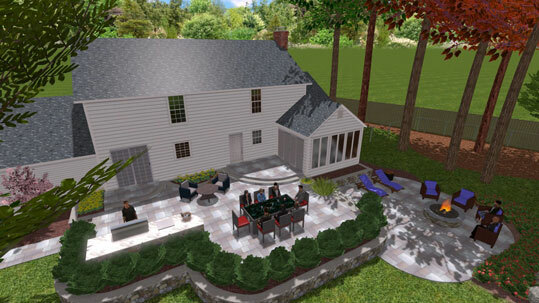 We can even produce a 3-D image of your proposed plan to help visualize your completed project! The design is complete, you’ve chosen the materials, and decided on the plantings. Now who do you want to bring your vision to reality? Our staff of construction professionals are experienced in building everything we design, from a single walkway to more complicated outdoor projects. We specialize in natural stone & retaining walls, concrete paver patios, steps & walkways, outdoor kitchens, pools, fire-pits, water features and landscape gardens of every style.